We are excited to announce that we will be partaking in a new fundraising initiative for sporting clubs called "Play for Purpose". Play for Purpose is a collaboration between three key parties, the 50-50 Foundation, Tabcorp, and the Australian Sports Foundation, aiming to raise money for charitable grassroots sporting projects. Play for Purpose is a Not-For-Profit online raffle, and now that our club is signed up, we have our very own website from which to sell tickets from. Anyone can buy tickets from our site, so please share our special website link with your family and friends so that we can raise as much money as possible for the club. - The top prize for each raffle is $250,000!!! - The current raffle is open until April 30, and will be drawn on May 1, so get your tickets! A new online registrations with Hockey Qld has now been introduced. The link below will take you to Hockey Australia who now maintain all association registration and insurance for Hockey throughout Australia. You will have to register separately (and only via their website below) with Hockey Australia (registration fees and insurance). When registering with Hockey Australia the above link will automatically associate you with Pine Rivers Saint Andrews Hockey Club Inc.
27/4/19 - All divisions from Under 11 to J2 commence fixtures. The relevant table on the BHA Website has been updated accordingly - link. 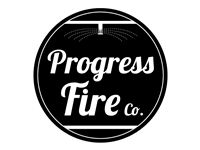 Progress Fire Co. provides Queensland businesses with fire protection design, installation and maintenance solutions. Email us today or call our friendly team to discuss your fire safety needs. arete Australia is a specialist division of Kane Constructions that focuses on interiors, fitout and refurbishments across commercial office & base building, health & aged care, education (tertiary, secondary, primary), hotel & hospitality, government and retail sectors. We operate throughout the east coast of Australia from offices in Melbourne, Brisbane and Sydney. As a division of Kane Constructions, we share the financial strength, corporate governance and stringent management systems of Kane - established over its 40+ years of operation. arete is a team of highly experienced construction specialists, each of whom has delivered numerous high quality projects locally and internationally. Our size ensures we can provide personalised project delivery solutions - with our clients' business operations carefully considered throughout each stage of project delivery. Eagle Alliance Earthmoving is a dedicated, family-owned company striving to exceed our clients expectations on every job. We pride ourselves on being South East Queensland's leading earthmoving company with a fleet of over 200 experienced contractors. Eagle Alliance Earthmoving can cater to all of your earthmoving needs for services including but not limited to drainage, civil works, site cleans, bulk excavations, under house digs, trenching, landscaping, demolition and pool digs. We specialise in all aspects of commercial, government and residential projects both large and small. Please enjoy our website and check back for all our Latest News and a Gallery of our projects. The club was established in 1964 and developed primarily as a junior club, serving the communities of Aspley, Carseldine and developing areas now known as Bridgeman Downs, Albany Creek, Eatons Hill, Bracken Ridge and Brendale. During the Seventies and Eighties it became necessary to move into senior AFL football to provide a path from juniors through to senior football, without players needing to change clubs. The club now caters for the full range of football from age 6 years with Auskick, through to Super - Rules for the over 35s.